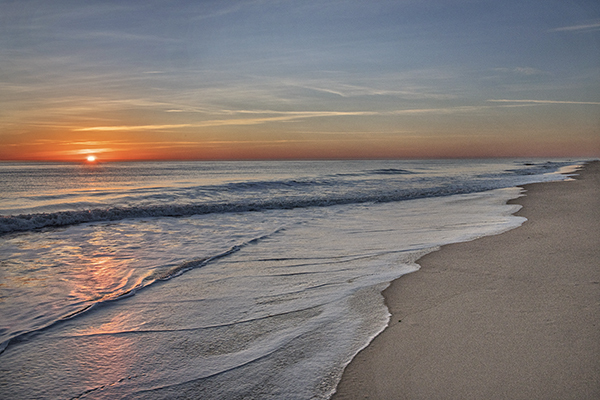 I caught the first rays of sunlight today on Dewey Beach. A beautiful January morning on the beach with a tolerable temperature of 32, which is a bit warmer at sunrise than it has been recently. 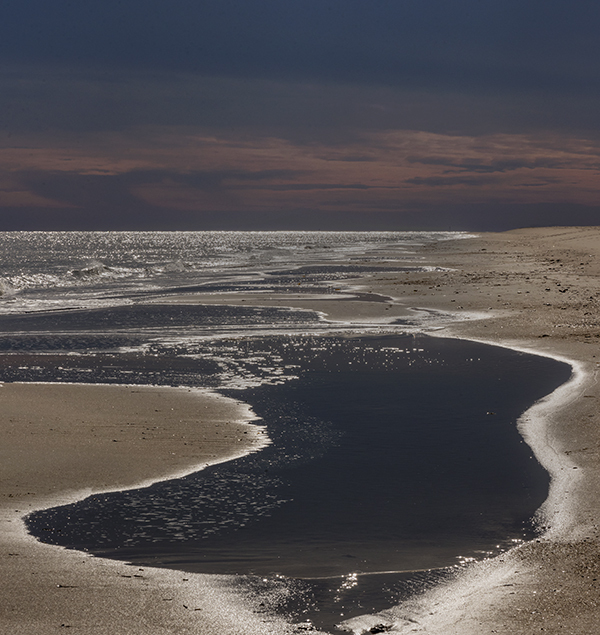 The solitude of the winter beach is good for the soul. 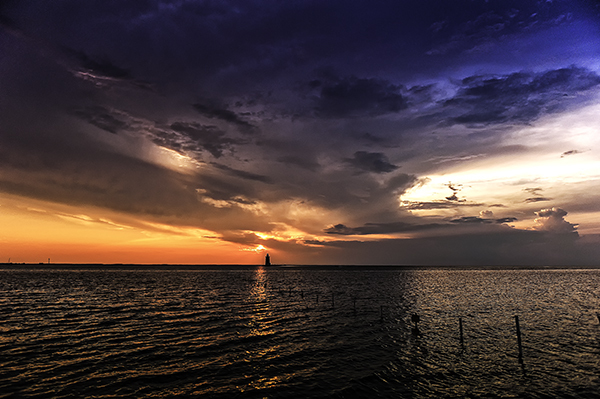 This sunset at Cape Henlopen was taken a couple of weeks ago but it took a rainy Saturday for me to get it posted. Small incoming waves that encounter backwash waves heading out to sea from the beach results in an explosion of water as the two meet. 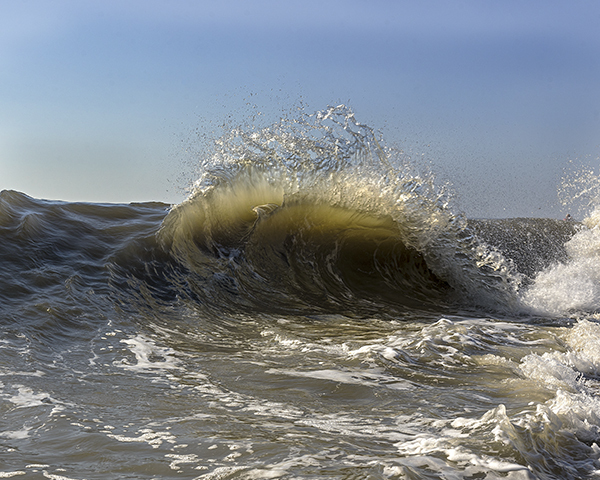 A morning visit to the beach today, before scorching heat and biting flies forced me to leave early, offered an opportunity to shoot a nice back-lit exploding wave. This wave is scary to me, but not due to its size. 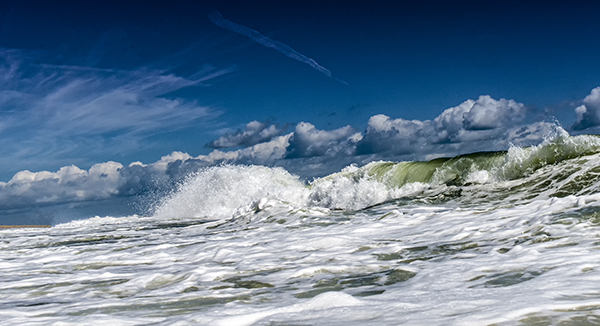 It was actually only about 2-3 feet in height but it was one of the first waves I shot with new underwater housing that protects my expensive DSLR camera and lens. First day with a new toy, and trusting it to work as expected, can be a bit nerve racking when the environment is salt water waves. But my Aqua Tech housing worked like a champ and my love of photography has gotten a terrific boost up. 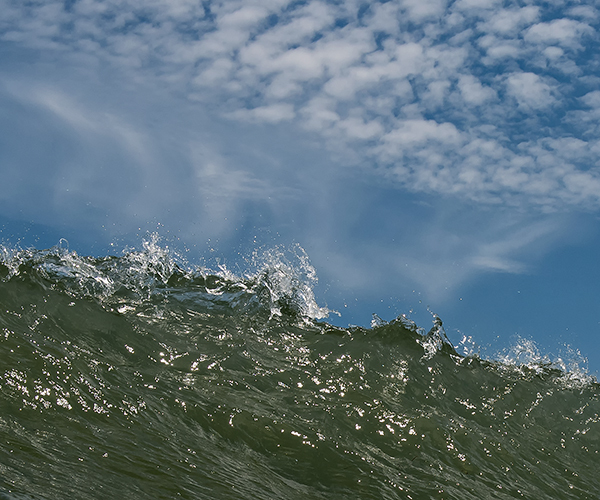 In this photograph I am looking straight up the face of the wave as it just begins to break. The perfect sky was a bonus. 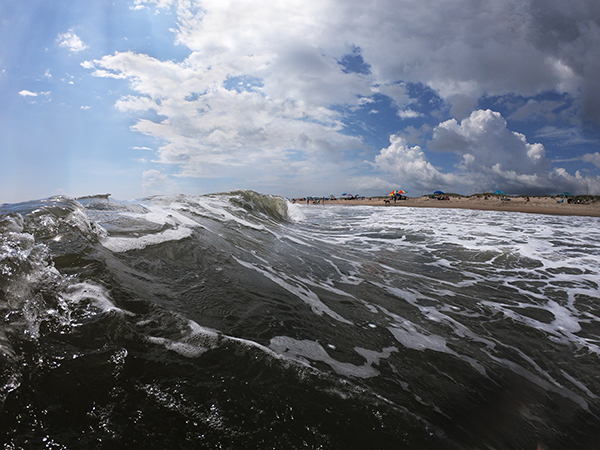 I am very much looking forward to more photography in the water and further exploration of coastal Delmarva. Thanks Aqua Tech for opening up a whole new world for me to explore with my camera. 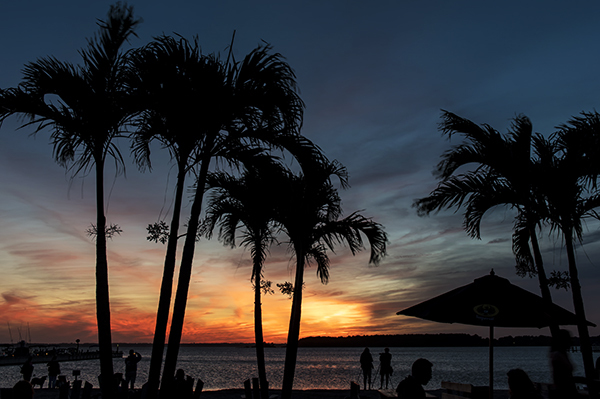 The springing of Spring foreshadows the warm sunsets of summer and the return of well witnessed and ‘captured’ sunsets on Rehoboth Bay. 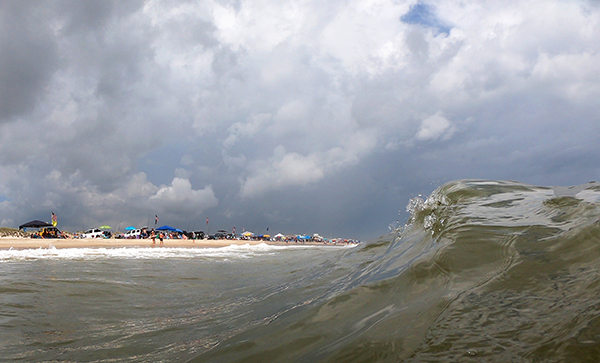 This view in Dewey will be seen again soon. The winds of winter work on dunes as a sculpture might work on clay. 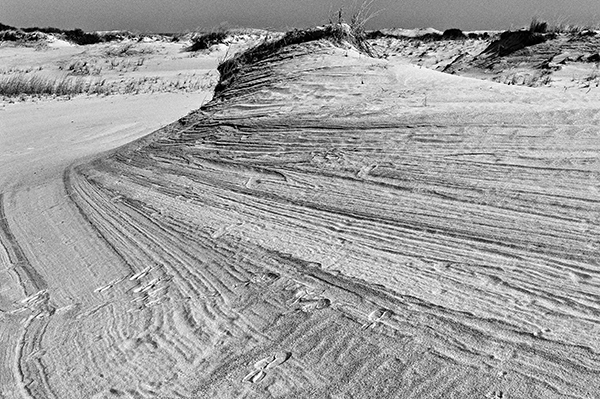 This dune at Cape Henlopen has been worked over during the winter leaving interesting strata exposed. As a kid, not living near the coast, I wondered what the beach looked like in winter. Did it get snow? Does the sand freeze? Does the ocean freeze? The answer is yes to all three questions. This year the beach has not experienced much of these conditions but last year was another story. 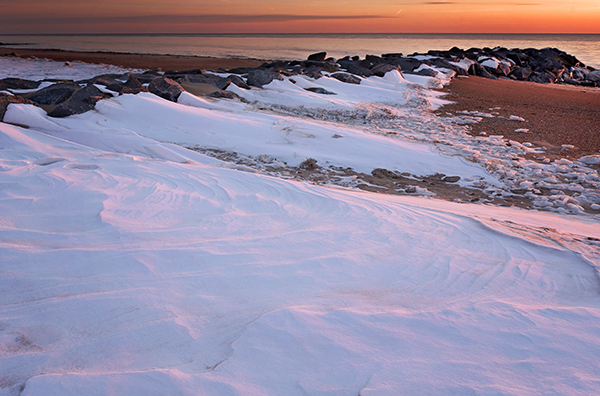 This photograph was taken at sunrise in February 2015 at Cape Henlopen State Park. Perhaps we will see the beach covered with snow this year before spring arrives.